[FREE 1 eXtra BTU 2504] Doulton EcoFast Biotect Ultra Healthy Water Fi — SHOP N' SAVE [优质生活] quality living & effortless shopping! Doulton ECOFAST BioTECT Ultra M12 is baby direct drinking under counter healthy, natural, safest, finest & great tasting minerals water for whole family to enjoy! Connections: 1/4"inch push fit inlet & outlet suitable for 1/4" tube hose connection. 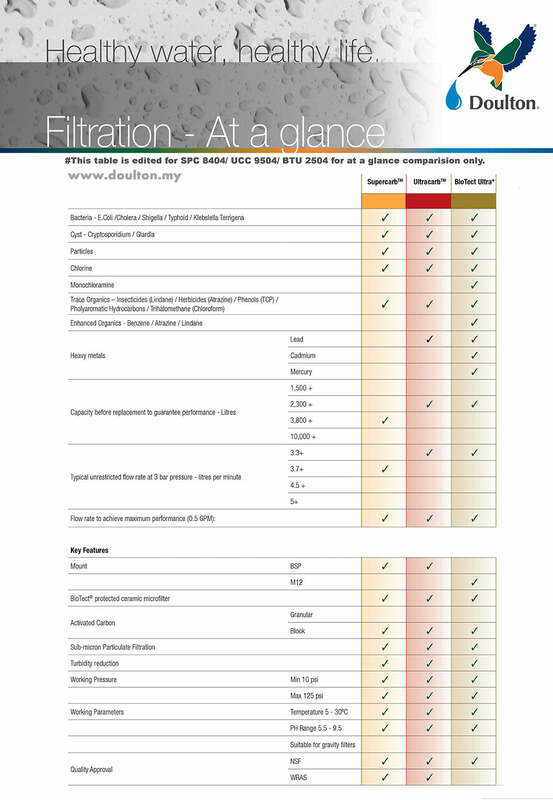 Filter Life span: optimum performance up to 9 - 12 months / 2300 litres. 2. Blue color tube is connect to inlet Ecofast body. 3. White color tube is connect to outlet Ecofast body.